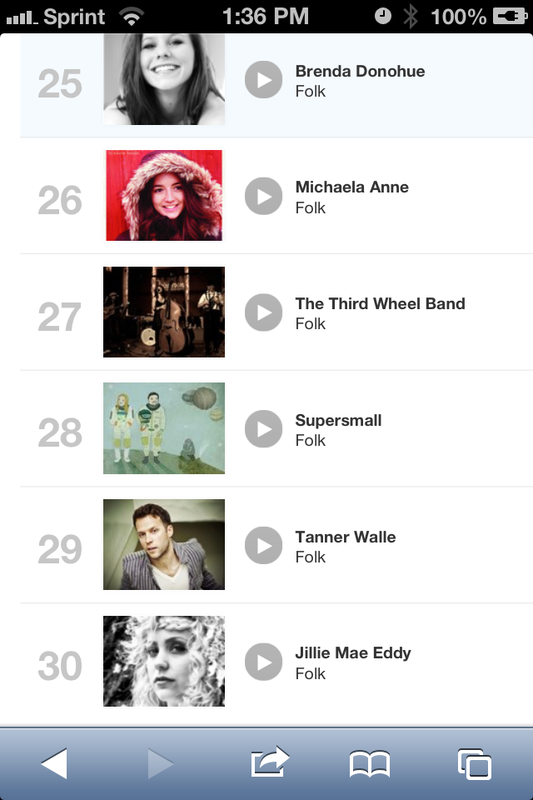 Not that it matters in the grand scheme of things but we have found great amusement in seeing our band rise up the Revebnation Folk Charts. Breaking the top 40 resulted in us receiving some cool (and free) promotional offers which we’ve already used. Now were at #28. It’s fun checking this now and again. Yes, we know we’re being silly.